BROOKLYN, NY USA -- HEALTHCARE UPDATE NEWS SERVICE -- APRIL 4, 2019: Announcing the release of the 4th Edition of Rx Data News, a publication dedicated to exploring the impact of data science, analytics, machine learning and artificial intelligence on the biopharmaceutical Industry. Monthly Deep Focus: What Impact has Data Science and the Technologies Associated with it had on Pharmaceutical Research & Development? 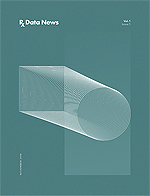 Visit www.RxDataNews.com to download a free sample issue and SUBSCRIBE today. Every issue contains originally reported articles, exclusive interviews and thought leader commentary.